In e-book format ONLY until April, 2016. You may click above to purchase and download straight from Amazon. I can be all things to you, if you let me. Because, I am your refuge. She fears for her heart. “If Only There Was Music…” truly lives up to the hopes expressed in the introduction. Poetry is not my natural genre – you won’t find lots of books of poetry on my shelves, but I will be reading this book again and again for a long, long time. The book, co-written by Nonnie Jules and newcomer Giani Jordan, sizzles with passion on every single page! I profess no expertise in the writing of poetry, but I have never been so moved by verse as I have with the work of Jules and Jordan. 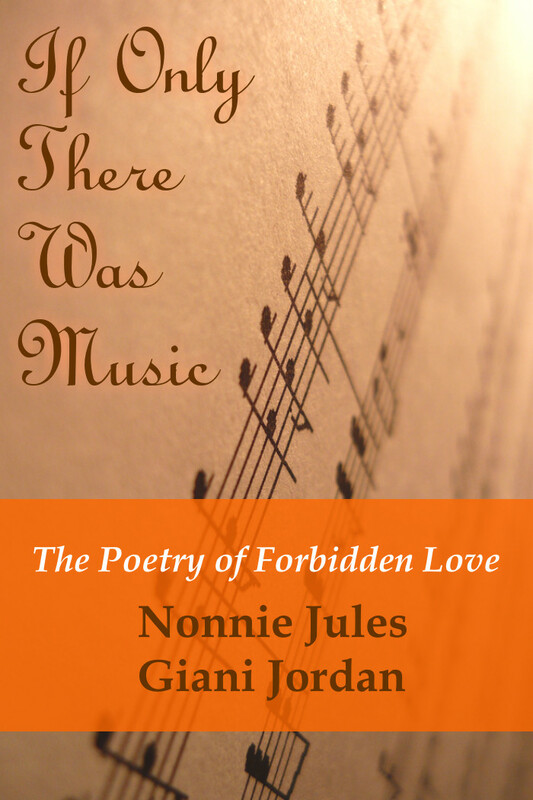 The book is structured in two parts: forbidden love from her perspective, by Nonnie Jules first; and that is followed by his emotional experience, by Giani Jordan. Jules demonstrates more than one style of poetry and her versatility is telling and powerful. Jordan is more consistent with a single style – they are different, but they work together beautifully! Look at what I found and I’m going to share it. Good Job Nonnie!